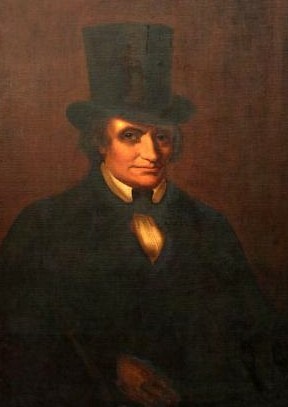 Elected by the General Assembly on January 30, 1811, to fill the vacancy created by the resignation of St. George Tucker. Resigned before he sat on the court. Private practice, Chesterfield County, 1790-? Elected on January 30, 1811, and resigned on February 23, 1811, E. Griffith Dodson, Jr., Speakers and Clerks of the Virginia House of Delegates, 1776-1955 (Richmond: Virginia House of Delegates, 1956), 41; and 16 Va., xvii; birth, education, and career, ibid., 41; attended William and Mary, A Provisional List of Alumni, Grammar School Students, Members of the Faculty, and Members of the Board of Visitors of the College of William and Mary in Virginia From 1693-1888 (Richmond: Division of Purchase and Printing, 1941), 93; portrait, Ray O. Hummel, Jr., and Katherine M. Smith, Portraits and Statuary of Virginians Owned by the Virginia State Library, the Medical College of Virginia, the Virginia Museum of Fine Arts, and Other State Agencies (Richmond, Va.: The Virginia State Library, 1977), 32; digital image of the portrait courtesy the Library of Virginia, where the portrait is currently housed.